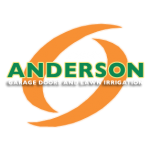 We provide provide professional new installation for all of your residential and commercial garage door needs. We install Liftmaster 1⁄2 and 3⁄4 hp belt and chain-drive openers and keyless entry systems. These openers are quiet, reliable and long lasting. A Thermo Steel or Thermo Guard door and belt drive opener combination is the smoothest & quietest running door available. Belt drive openers have WIFI built in so with a smart phone you will be able to open or close your door from any location with cell service. Brent’s Door will ensure the professional installation to make sure your door and opener will operate at peak performance. Call 612-802-1270 for all your garage door needs.